During the seventies, David Tangye and Graham Wright were part of the Black Sabbath crew—and they have the stories to prove it. As the group grew in fame and notoriety, incidents of bad behavior mounted alarmingly. Whether it's Geezer's lyrical journeys into the underworld or the gun-obsessed Ozzy Osbourne at home in Atrocity Cottage, this is Sabbath as you've never known them before. A real-life Spinal Tap, this is a warm, funny tribute to four mates from Birmingham who became the biggest heavy rock band in the world. During the seventies, David Tangye and Graham Wright were part of the Black Sabbath crew—and they have the stories to prove it. As the group grew in fame and notoriety, touring Europe and America, incidents of bad behavior mounted alarmingly. 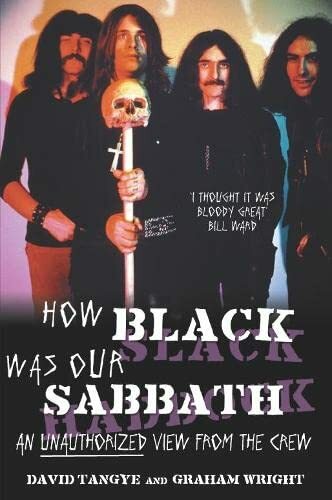 Whether it's Geezer's lyrical journeys into the underworld or the gun-obsessed Ozzy Osbourne at home in Atrocity Cottage, this is Sabbath as you've never known them before. A real-life Spinal Tap, this is a warm, funny tribute to four mates from Birmingham who became the biggest heavy rock band in the world. Graham Wright was assistant to drummer Bill Ward. David Tangye was Ozzy Osbourne's assistant during his Black Sabbath days as well as during his solo career. Dave Tangye was Ozzy’s assistant throughout the seventies, and Graham Wright was assistant to drummer Bill Ward.